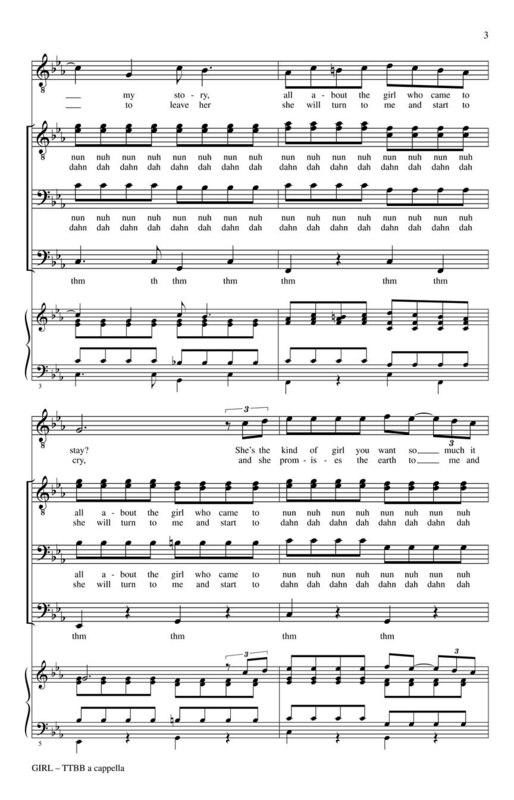 Your choir will love to explore the sounds and rhythms and textures of a cappella music with this accessible arrangement of the classic Beatles song from 1966. Great solo showcase; too! 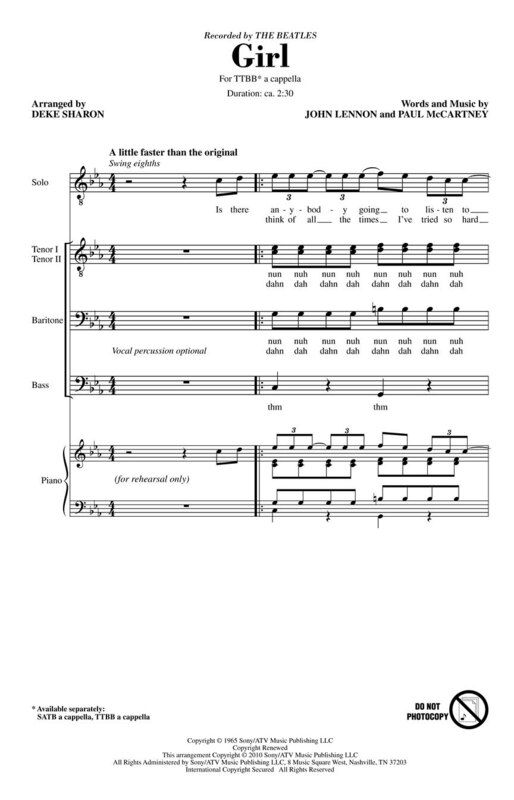 Available separately: SATB a cappella; TTBB a cappella. Duration: ca. 2:30.